Be they Peterson or presidential or Sieburn, norms are underrated. They help give structure to our lives in a world where we can’t legislate and regulate every experience. Existence is too vast, imbued with too many possibilities. Knowing what generally to expect when we walk into a movie theater or a restaurant breeds comfort, and helps us feel safe. It’s only when these norms are violated or challenged that we start to realize how much we’ve relied on them, and need to question whether it was worth having them around in the first place. I didn’t used to have a rule requiring my kids to wear clean underwear. In retrospect, maybe that’s on me. But I didn’t make a rule because the importance of it seemed self-evident. I relied on what I thought was a universal norm to get my kids to change shift every day. So it wasn’t until I noticed that I wasn’t finding underwear from one of my kids in the laundry that it dawned on me that I needed to initiate a conversation and institute a new rule. My children resisted; they wanted to go commando. I explained that putting on underwear wasn’t just important for their own general hygiene or for comfort once they started wearing jeans as winter came to Iowa, but for their friends and loved ones who didn’t want to accidentally get an eyeful when my child was wearing shorts. My child argued, and whined, and pleaded, but I was resolute. If they wouldn’t heed the norm, there would be a new, explicit regulation: everybody wears clean underwear every day, no exceptions. That hasn’t stopped my children from trying to slip out of the house without clean underwear on. I’m sure they’ve gotten away with it once or twice. But I’m reasonably certain that the overwhelming majority of the time, the rest of the world can breathe easy trusting that my kid is toeing the line. 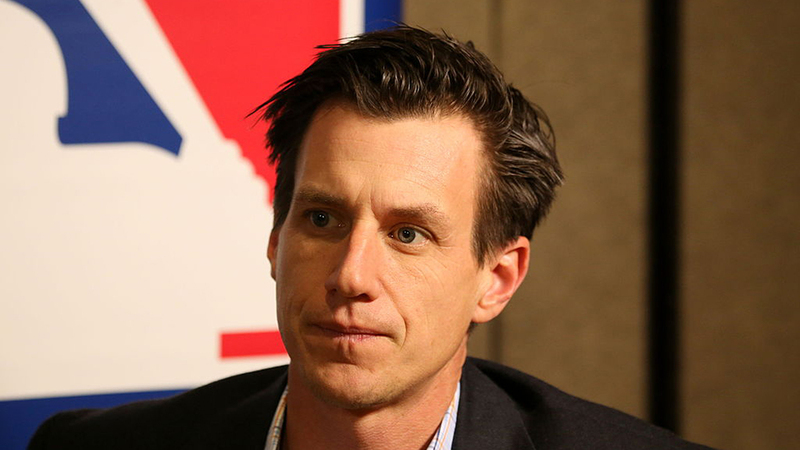 I bring this up because Craig Counsell has violated the circle of trust. I don’t know the state of his underwear, but prior to Game Five of the NLCS, Counsell announced Wade Miley as his starter, and start he did. 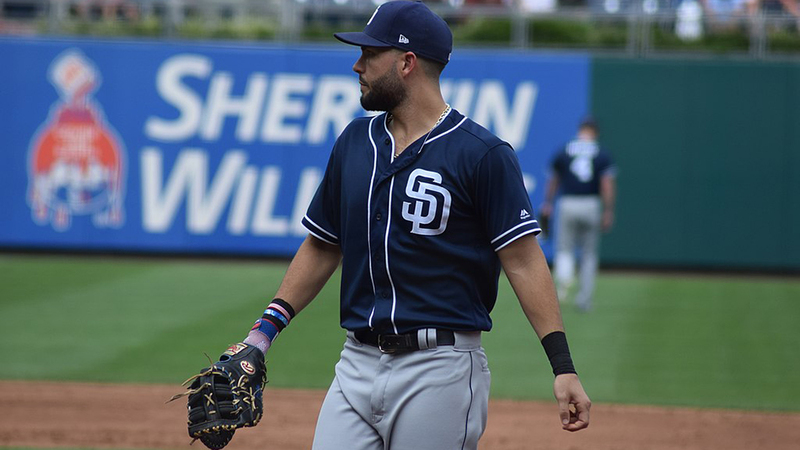 But after one batter, the left-handed Miley was lifted in favor of righty Brandon Woodruff, a move that forced the Dodgers, who had started a lineup designed to mash lefties, to either stick with their lineup and forgo platoon advantages, or to weaken their bench for later in the game. The Brewers’ move, 94 year later, was a surprise. And, while totally legal and clever, it didn’t wind up working for them. Woodruff allowed three runs in five and a third innings, and Milwaukee lost both the game and the series to Los Angeles. Counsell had broken the circle of trust for nothing. Now, it’s important to note that not all norms are good things, and the decision to buck them should sometimes be celebrated. Between innings, players used to leave their gloves lying in foul territory near their positions rather than carry them back to the dugout. I’m not sure how the practice got started. Who knows who the lazy ballplayer was who just couldn’t lug his glove all the way off the field. But there wasn’t a rule against it, and the practice caught on. This, of course, meant that foul territory was strewn with tripping hazards and potential speed bumps for rolling baseballs. “It’s a silly rule and it makes our work all the harder,” Richie Ashburn told The Sporting News. “It means a lot more running…and you can’t conserve your energy running to the dugout to get your glove all the time.” Orioles GM Arthur Ehlers complained, “It’ll slowup the game when a hitter or base-runner has to run back to the bench to get his glove or sun glasses after the third out. The game needs to be speeded up, not slowed down.” No one cared. The rule stayed. Ashburn and his colleagues would have to be okay getting a few extra steps in. That rule may have been a little silly. But more often, norms have existed for good reasons. Like the ones that unofficially governed base running until Major League Baseball had to get involved. Everyone traveled counterclockwise around the bases, largely without fail, figuring that every base gained was important, until one man challenged that. Germany Schaefer was one of the most beloved players of the first two decades of the 20th century, and maybe the only man who got along with Ty Cobb. He came from Chicago, the son of German immigrants, and he took up baseball, as so many others did in those days, as a way to integrate into American culture and lift himself out of poverty. He spent years in semi-pro ball and in the high minors before getting noticed by big league teams. After an extended tryout with the Cubs didn’t go well, he latched on with the Tigers in 1905 and became their second baseman. He was a natural showman who would eventually have a vaudeville act in the offseason. He wore galoshes and a raincoat to bat if it started to drizzle and he hoped to delay the proceedings. And, to the delight of his home crowds, he loved to show up the opposing pitcher whenever he hit a home run into the stands (which was incredibly rarely) by sliding into each base. But he’s most famous for a story told by Davy Jones in The Glory of Their Times in which Schaefer stole first base. Now, Lawrence Ritter’s seminal work has faced new scrutiny in recent years for uncritically presenting oral histories without fact checking and for the author “enhancing” the stories told to him by players. There’s no contemporaneous confirmation of this play with the Tigers. The pitch was corralled at the plate, and, after Schaefer “danced off first, hollering taunts to the White Sox,” the catcher tried to pick him off. Schaefer took off for second on the throw, and Milan scooted toward the plate. But the play was thwarted by the alert White Sox, who threw back to home in time to nab Milan. After the game, umpire Tommy Connolly pointed out there was nothing in the rules that prevented Schaefer from running the bases in reverse if he wanted to. It’s just that, to this point, few had thought to actually do it. To head off future nonsense, Major League Baseball decided to end the practice in 1920, mandating in Rule 5.098(b)(10): “any runner is out when, after he has acquired legal possession of a base, he runs the bases in reverse order for the purpose of confusing the defense or making a travesty of the game.” It didn’t matter that this maneuver was practiced by an extreme minority of players. The potential for it invited chaos and confusion into a relatively clean game. Forever after, base runners would move in but a single direction, and no one would be allowed to Barry Sanders his way into an extra run. Schaefer’s strategy wasn’t a successful one, so there wasn’t much pushback when the league outlawed the practice. But Branch Rickey had an idea that would, in its unbridled success, change the shape of baseball forever. The minor leagues, originally, were no different from the major leagues. In fact, the American League was a minor league until 1901, when Ban Johnson expanded it and decided to take on the National League directly. But major league teams were primarily located in the most populous cities with the most economic muscle, and were thus able to dictate terms to many of the smaller circuits. But the so-called “minor” leagues were, by and large, independent from any particular major league club. As Bill James pointed out in his New Historical Baseball Abstract, “The minor leagues as they existed a hundred years ago were something more like today’s Mexican League, or perhaps a Japanese baseball league, except that rather than operate in another country in a foreign language, they operated in the hinterlands of the United States. They were independent.” If, say, the Detroit Tigers wanted a Germany Schaefer in 1905 (and they did), they would have to negotiate a price in players, cash or both from the Milwaukee Brewers, then a member of the American Association. It was that way for decades. And these clubs didn’t have to sell. Lefty Grove was the most sought-after pitcher in the game when he turned in four straight stellar seasons for the old Baltimore Orioles from 1921-1924. It was clear how good he was and how great he’d be, but no one would offer the Orioles enough to acquire him. Again, James points out, “It was up to the Baltimore owner to keep him, trade him or sell him…. They were keeping him to win ball games. They were keeping him to draw crowds.” Eventually, Connie Mack blinked and offered more than $100,000 for his rights, the equivalent of almost $1.5 million today. When the Yankees wanted a kid named Joe DiMaggio, who had just made his bones with the San Francisco Seals in 1934, they sent four players for the kid so the Seals could stay competitive. Rickey had very little interest in paying what he saw as exorbitant rates for unproven players, especially because, as the general manager of the Cardinals, he had little ability to pay exorbitant rates for unproven players. The Cardinals of this era were perpetually strapped for cash. In 1919, he had to secure a $10,000 loan to pry Jesse Haines away from the Kansas City Blues. And while that proved to be a savvy investment, he vowed to find a way around it in the future. So, with the help of new owner Sam Breadon, the Cardinals began buying stakes in minor league franchises around the country, imposing agreements that St. Louis would provide the seed money to sign the players initially, but that those players would henceforth be property of the parent club as they progressed through the organization. This ensured that Rickey would have the power to shuffle them around and bring them to the majors as he saw fit, without having to haggle. At its height, Rickey’s system controlled the fates of more than 800 players on at least 40 different minor league teams, including some in the same leagues. It was no wonder, then, that under his stewardship the Cardinals became the class of the National League. With Rickey at the helm, they won six pennants, and four World Series, and continued their dominance after he left to run the Dodgers. It wasn’t against the rules to control that many teams or that many players, so Rickey just went ahead and did it. No one was more aggressive or more ruthless. His efforts did not sit well with the man in charge of the game at the time. Kenesaw Mountain Landis had been hired as the first commissioner in 1920 under the worst possible circumstances. The sport was reeling after its slow response to the federal government’s 1918 Work or Fight Order, as the United States prepared to enter World War I. And it had destroyed public trust in its integrity when news of the Black Sox scandal became public. Landis’ job was, quite literally, to save baseball. Not just major league baseball, but all of so-called organized ball. It was a responsibility he would carry with him until his death in 1944. In response, Landis set dozens of Cardinals prospects free, ordering them released. The exact number is difficult to determine. The Associated Press initially put the number at “an estimated 100.” Bill James says it was 91. Other sources say closer to 70. What sounds like a disaster to the Cardinals’ system actually wound up having little effect. Almost all of the players immediately re-signed with their clubs, essentially making them property of the Cardinals all over again. Ultimately, the whole rigmarole resulted in a few thousand dollars in fines and Rickey having to eat crow in front of Landis, but Rickey’s farm system won out. The major leagues fully co-opted the minor leagues, turning them from “a small war,” in the words of Bill James, to “merely boot camp.” Even affiliates not owned by a major league club agreed to serve as a training ground and puppet for their betters. Over time, the leagues became better regulated and structured, and now major league clubs have somewhere between seven and nine minor league affiliates. The current system helps ensure the cream rises to the top, while restricting the freedom of players as much as the old system ever did. The old innovation became the new normal, and the Cardinals no longer had their advantage. Spalding soon followed suit, and began manufacturing gloves a few years later. In a fairly brilliant bit of free advertising, he made his glove black so that it would stand out. While there was still some stigma attached, Spalding’s status as both an equipment magnate and one of the strongest players of the early game did much to quell the grumbling. And by the end of the century, conveniently timed with the retirement of Bid McPhee, literally every player had a glove of his own. Similarly, the evolution of catching equipment was pushed forward by brave souls who didn’t care if their manhood was mocked. The catcher’s mask, at first a modified fencing mask, debuted in the mid 1870s. The chest protector was developed in the early 1880s, though its inventor is in dispute. Some accounts attribute it to Hall of Famer Deacon White, who invented one that had to be inflated. Others credit the wife of Detroit catcher Charles Bennett, who sewed hers. White and Bennett, along with other catchers, would often wear these beneath their uniforms to avoid ridicule. Finally, Roger Bresnahan had had enough of bruised shins and invented shin guards, again putting them under his pants to avoid criticism. Baseball would evolve to not only begrudgingly accept these safety measures, but encourage them, mandating the use of batting helmets in the 1950s and now encouraging the use of C-flaps to protect batters’ cheeks and eyes. So just as norms are not always good, subverting them is not inherently bad. Rickey and Schaefer and the fielders leaving their gloves on the field like so many daisies weren’t wrong to do so. They were taking advantage of the rules as they existed to gain an advantage. That they did so doesn’t make them jerks so much as opportunists. And we should want teams to be opportunists, because they point out flaws in the game we can correct. I think the Brewers did that for us in the NLCS as well. While we admire the Brewers’ creativity, I bet few people outside of Milwaukee actually enjoyed watching Wade Miley walk off the mound after pitching to just a single batter. And I believe, if we really think about it, we want the winning club to be the one that outplays its opponents, not just the one that can pull the fastest fast one. I don’t let my kid get away with that anymore, and we’re all better for it. Awesome article! Lots of interesting stuff. Had no idea the Minor Leagues started like that. Branch Rickey was a smart man! I generally object to rules that try to change how the game is played just because someone was smart enough to innovate. Innovation should be encouraged. I loved watching Miley walk off the mound after one batter, because it was clever and unconventional and worth trying. Just as I like the shift, and I like the idea of players bunting to discourage the shift. Play the game the best you can under the WRITTEN rules, because those are the only actual rules. Unwritten rules aren’t rules. They never have been. Yeah, I don’t see how this particular tactic makes the game less fun, or makes it confusing. Tactical pitching changes in general, the parade of anonymous flamethrowers, that’s something of an issue, but this particular form of it seems no worse than any other. Now as far as confusing the spectators, how about the hidden ball trick? Ban it? Not sure if you’re being obtuse intentionally or not. The Dodgers has a lefty lead off (Bellinger) with a large platoon split, not CT. Thought it was well known Woodruff was their main pitcher for game 5. If you weren’t aware, that means you weren’t paying attention.